"Dr. Tworzydlo is always courteous and thorough. I am impressed by her each time." "V. good experience - I would see this dr. again - displayed compassion, care & confidence." "This office is wonderful from start to finish! I will recommend this office to family and friends!" "Dr Tworzydlo is very profesional and compassionate ." "She was excellent. Can't spell her name"
"We love Dr. Ella...so happy she joined Dr. DeLuca's practice I have been a patient of Dr. DeLuca since 1995, actually started seeing Dr. Cap in 1993, then Dr Deluca..."
"She was recommended to me, I recommended to my daughter friends. Even though I live far, out of town now! I really like her." "She is the very professional doctor Thank to her"
"Dr. Elzbieta is the best doctor around I could never switch doctors. She is FANTASTIC." "Always fine with Dr. Ella." "Dr. Tworzydlo is wonderful. Best doctor I have ever used." "Dr. Tworzydlo was fantastic. It was my first visit with her and she pulled me out of very serious pneumonia, many many thanks!" "Dr. Tworzydlo confidence and concern." "Not very friendly and cold. Very short with questions." "I was a patient of Dr.Chudys, this was my first physical with Dr. Tworzydlo & it went great. She is very nice, caring, see listens & explains everything. Very happy with her. I have been with this practice for about 21 yrs. All drs. & staff great! " "I am very comfortable with Dr. Tworzydlo. I prefer to see her because of our rapport. She makes me feel that she's really concerned about ME!" "Doctor seems very nice. Time will tell with future experiences." "Dr. Tworzydlo is phenomenal. She is friendly, knowledgeable, easy to talk to, and I feel very comfortable with her. She is an asset to your organization." 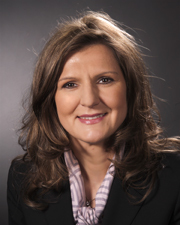 "Dr. Tworzydlo is extraordinary, professional & intelligent." "Great experience, I feel very confident being under her care. Extremely knowledgeable & professional." "Never have a bad experience w/ my doctor." "Attentive, listened to all my concerns & answered my questions as well as issuing the proper tests." "I highly recommend this office to others." "Dr. Elizabeth is wonderful human being, she knows how to treat a patient with love, she worries that we get better." "I will shout form the highest roof top the care I received. She saved my life." "I am a nurse and I know a good doctor....Dr. T is a superb physician in every sense!" "Doctor talked to me and looks at me. No use of a computer." "I will always (100% percent) recommending my doctor & even to God or the popes." "Dr. Ella is a very compassionate, competent dr. who instills stress free confidence in patient." "If this survey is pertaining to my care from Dr. Tworzydlo she is excellent in every aspect of care & the staff is also excellent." "Dr. T. is wonderful and I'm lucky to have her. All of her patients are! #9. Exc." "Dr. Ella is an amazing doctor. The practice is very lucky to have a Dr. like that working there. Very FEW Dr.'s like HER." "Dr. Ella is the "best."" "Busy practice but took time to fit me in!" "You should have a column "excellent."" "No complaints whatsoever. Dr. T exuded a warmth & concern that felt genuine." "This doctor is an angel who is passionate, patient and knowledgeable." "Dr. Tworzldlo - as soon as she enters the exam room, you feel comfortable. Her understanding of her pts. is remarkable very professional and very kind."